In addition to our staff providing Alzheimer’s support, the following organizations are good resources for additional information and education about Alzheimer’s disease and other forms of dementia. The Memory Disorders Clinic at The Ohio State University Medical Center offers comprehensive assessments, treatment and diagnosis of patients with Alzheimer’s disease, dementia and other memory impairments. 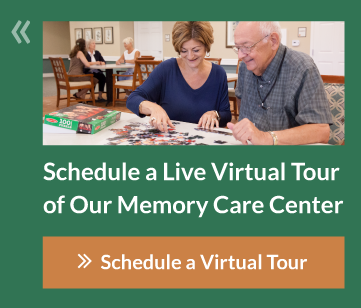 Their qualified team of memory care professionals is dedicated to providing the highest level of care and support for their patients and their caregivers. They are also committed to the education of patients, caregivers, medical professionals and the public. The Self-Administered Gerocognitive Exam (SAGE) is a brief, self-administered cognitive screening test used to identify early signs of Mild Cognitive Impairment and dementia. Our memory care team recommends taking the SAGE test and discussing the results with a primary care physician. The Alzheimer’s Association is the world’s leading voluntary health organization in Alzheimer’s support, care, and research. The Central Ohio Chapter is one of over 70 Alzheimer’s Association chapters in the United States. The John J. Gerlach Center for Senior Health provides healthcare and support services with a positive perspective to aging. It also offers caregiver support and educational programs to help adults of any age learn the physical, psychological, spiritual and social aspects of healthy aging. The Mayo Clinic offers trusted Alzheimer's support resources for families of those living with Alzheimer’s disease, helping families navigate the changing dynamics that the disease may cause. The U.S. Department of Health and Human Services provides free information resources about Alzheimer's disease and other types of dementia. The Alzheimer’s Disease Education and Referral Center gathers authoritative, up-to-date information from agencies and organizations with expertise in memory care. At The Ganzhorn Suites, we believe empowering caregivers, family members and those living with Alzheimer's disease and other forms of dementia is the key to living a fulfilling life in the face of memory loss. Join our monthly gathering where you'll meet professionals and make new friends who will assist you on your journey with dementia. Learn how to maintain meaningful relationships with loved ones, tips and techniques for effective communication, how to cope with changing needs and much more. This group meets the 3rd Tuesday of each month, 6:00 PM - 7:30 PM. Visit our Events page for more information.